New Mexico is the Land of Enchantment, and the little mountain city of Taos is one of its most enchanting spots... and a great spot for aspiring authors to sharpen their literary skills. Taos is where my friend Walter Jon Williams hold his annual "graduate level" writing workshop, the Taos Toolbox. There are a number of great workshops for writers just starting out -- Clarion, Clarion West, and Odyssey, to name three -- but the Toolbox is a little different, intended for writers who have already gone to one or more of those and maybe made a few sales. The next step in building a career in our genre. This year's faculty includes Walter Jon himself -- author of DAYS OF ATONEMENT, HARDWIRED, The Praxis series, and many many more, and creator of Golden Boy, Modular Man, Black Shadow, and Gordon the Ghoul for the Wild Cards series -- and Nancy Kress. Guest lecturers and scheduled visitors will include E.M. Tippetts, Steven Gould, and myself (Walter has promised to buy me dinner). Taos Toolbox will make you a huge bestselling author. Or not. But what the hell, Taos is lovely, and the food is really really good. Spent a week up in the ski valley there on my honeymoon. Had some of the best green chili soup in Taos proper as well. Fourteen years is a long time and they've renamed The Inn At Snakedance where we stayed... a name I always thought was superb... But I've been looking for an excuse to go back. I'll have to plan ahead for one of these some time. As with most things, thanks to you... for the head's up in this case... and for supporting others and lending awareness with your notoriety. Thats sounds amazing, I would love to go to one of these work shops. I started writing three years ago, learnt a lot from online and reading, have spoken to a few writers that have given me tips. I am currently writing short stories, for Sci fi universe, which I created Called Bounties of Bathos. There is a collectibles line being made in singapore, we released the first two characters last year. Now I'm writing, Medieval fantasy, I just started . It's called Spectral knights, Im studying your books in detail, I love it . Its the most wonderful thing to become a writer and read your own work. Currently on chapter two. LOL so i have a long way to go. What I love about your work, is how you build your characters, every inch of dialogue reveals more about there personality, what they want, who they are. This is something I must learn. Im getting there slowly. I learnt a ton from watching your youtube videos when you talk about the books. If you are very serious about writing it, I suggest you go over to name.com and buy spectralknights.com so you can own the .com domain name. I just checked and it is available. It only costs like $12 a year. Is there a chance the recordings could be made open for sale to those who can't make it to NM? I would love to hear you talk about the nuts and bolts of worldbuilding and how you piece together puzzles. I've been listening to recordings of talks from Odyssey and they are truly fantastic. Bandon Sanderson's podcast WritingExcuses.com is also top notch. 'Writing', particularly fiction writing, is one of those fields that so many talk about wanting to get into that I feel pessimistic about even imagining myself succeeding at it. And by 'success' I don't mean 'Stephen King success' or 'George RR Martin success', where you're drowning in money and have lines queuing up around the block for fans to get their books signed, but simple 'I can use the money I made writing to pay my rent and buy food' success. Nevertheless, I feel I should try to fight my innate pessimism, at least enough to do justice to that fantasy/sci-fi universe I've had bouncing around in my brain for ages. Stephen King has talked about how he kept his rejection letters on a nail when he was a kid until that nail was ready to fall off the wall, then replaced it with a spike and kept on writing. That's the kind of determination you need, I suspect. A great many talented writers 'fail' (depending, of course, on one's definition of that term) simply because they give up. My own career has crashed and burned at least twice. But I kept going, and eventually things turned around. Words of wisdom I'll keep in mind. I've set aside a couple of hours each night to write, and still more throughout the rest of the week for research and reading when I'm not working (another piece of King wisdom to would-be writers: a good writer of fiction is a prolific reader of fiction). 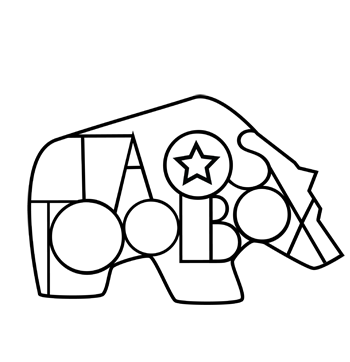 I wish I had the time and money for Taos Toolbox, but alas, that may have to wait. But if my work ever amounts to anything, well...I'll come back and say so on this blog, along with thanks for the encouragement when I was still new and doubting. Hello mr Martin, it's off-topic but I noted that you mentioned your kindness to food several times. As a cook I share that interest (to say the least), but as a French I have very few knowledge of american dishes beside the well-known ones as hamburgers, tacos...all of those coming in France by the industrial road ( It's getting a lot better tough, but it's still VERY hard to fine good american restaurants). So I would be thrilled if you would be kindly enough to share your favorites new-mexican dishes, american cuisine has so much progressed in quality that it's become a shame to know so little about it. Anyone ever heard the Taos hum?? Have you seen the old-fashioned, 1950s movie called the Seven Samurai? It is directed by legendary Japanese director Akira Kurosawa and I personally believe it's one of the best movies of all time. If you haven't seen it, take a look. The story is fascinating, hilarious, and truly tragic. It is filled with complex characters, right up your alley I think. If you have seen it, what did you think?